I once held the opinion that the size of your ferro rod didn’t really matter. As long as your little rod throws enough sparks to ignite a tinder bundle or char cloth, that’s all you need, right? For the record, I’ve started many fires with thin $5 ferrocerium rods. No survival kit is complete without this essential fire starter. I bet Tom Hanks’ character (Chuck) wished he had one in his pocket in the movie Cast Away. But then again, he would never have experienced the thrill of fire by friction. 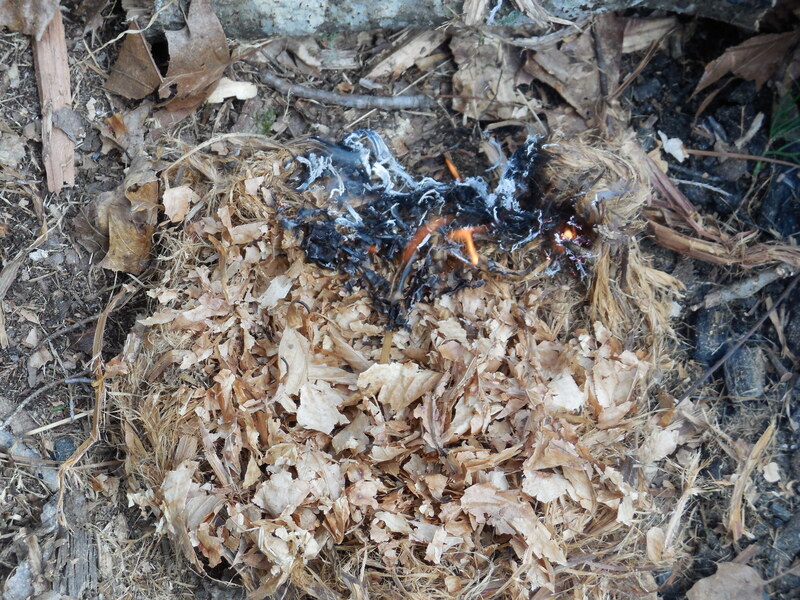 Seriously, life and death situations are not the time to trust primal fire-making methods. These techniques are great skills to develop, but don’t play around with combustion when fire could save your life. Always carry fire redundancy. 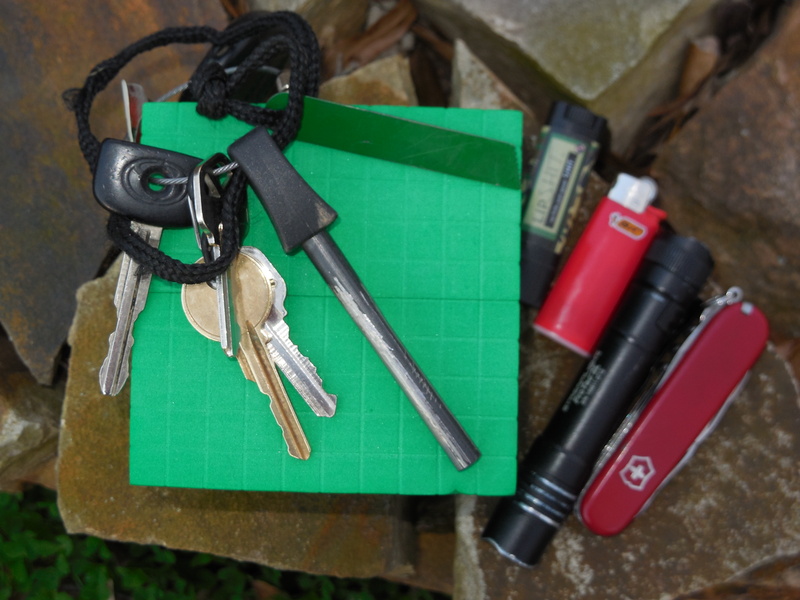 Pocket dump… this pocket-sized ferro rod and hacksaw blade striker rides on my key ring. 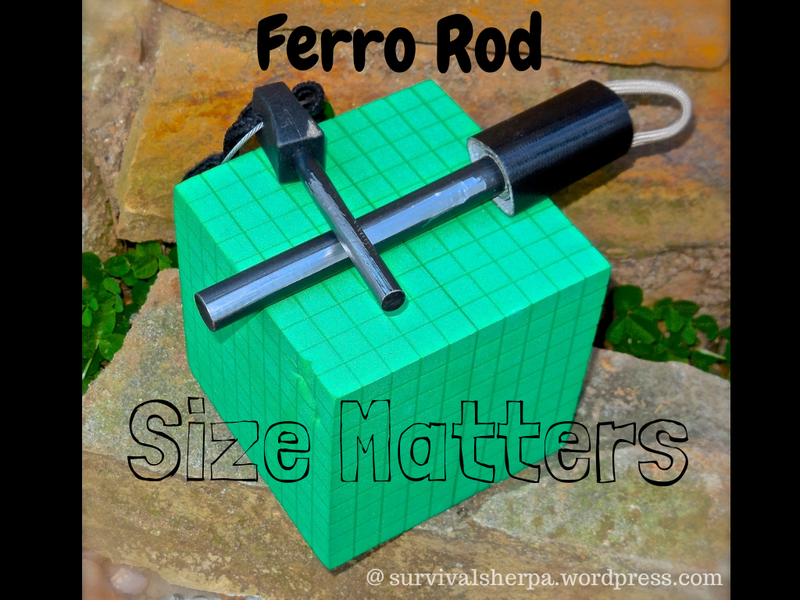 If all you can afford is a $5 ferro rod, buy it and learn to use it. Keep in mind that these are a consumable item and will eventually be depleted with use. 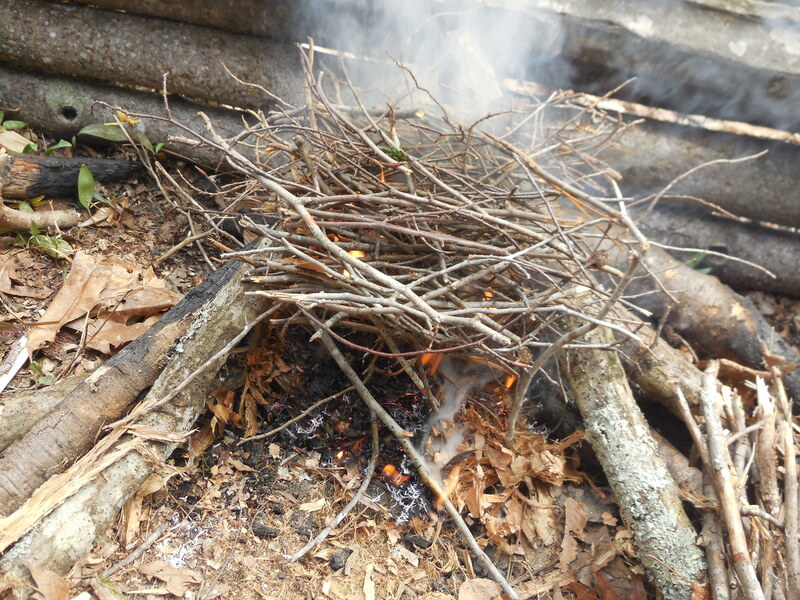 Making fire is a hot topic with many arm-chair warriors on the internet. Some argue for small, light-weight rods to get the job done. I carry a small ferro rod everyday for those just-in-case times. A Bic lighter too. But for long-term survivability, I’m fond of big, substantial, molten steel for spontaneous combustion. It’s been said that the key to lasting success is… lasting. The same applies to your survival gear. In the combustion department, you want a ferro rod that will last through years of use. Allow me to introduce you to my new “little” friend! Measuring 1/2″ x 6″, this is a pyro beast! Last weekend I spent some dirt time testing this fire wand. The amount of 3,000º sparks raining down from this fire tool is insane! I ordered mine from the Pathfinder Store. No fancy bone or wood handles. Just a blank ferro rod. The loop allows me to clip the rod on the inside of my bushcraft bag or B.O.B. 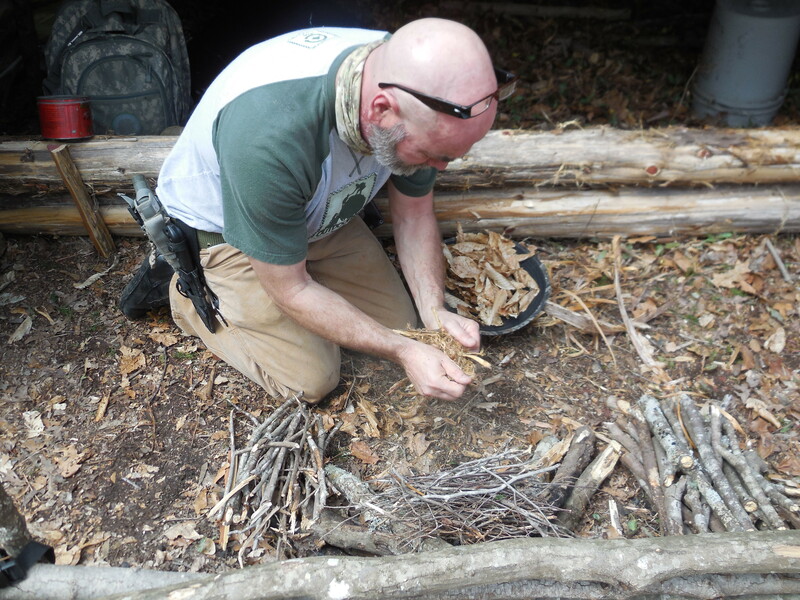 The importance of fire for wilderness survival can’t be overstated. 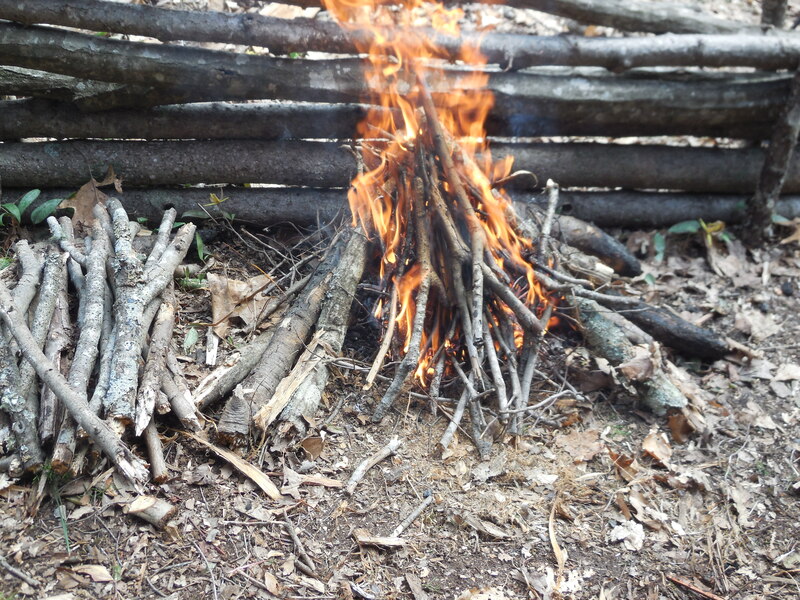 If you only have once chance to make fire, this ferro rod increase your odds. Use a knife with a 90º spine or other sharp object to remove the black coating from the rod. The coating is there to prevent oxidation. Note to self: Do not test this bad boy inside your house or over your feet. Trust me on this one. These globs of molten metal burn for a couple of seconds once they hit the ground. No amount of sparks will start a fire without properly processed tinder. 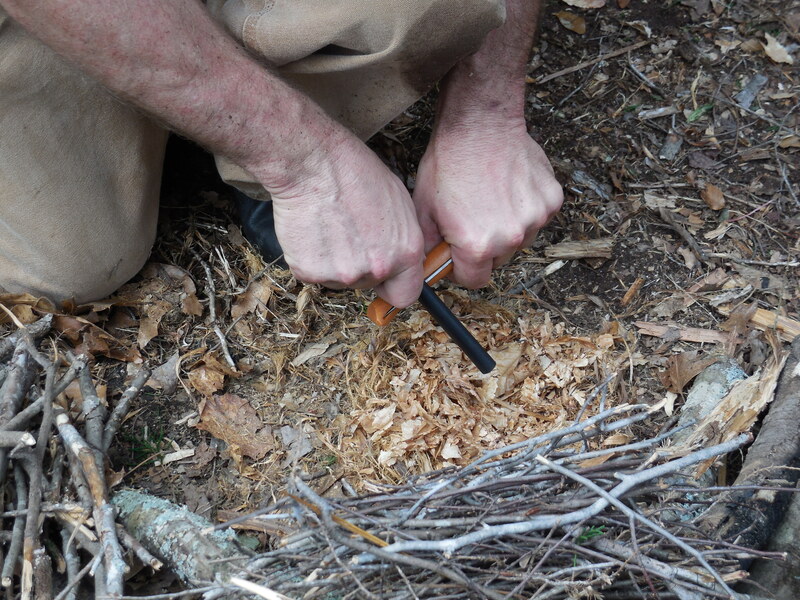 Here I’m working natural tinder (cedar bark) into a fine fiber. Just to the left of my hands is a hat full of Beech leaves. Foliage from Beech trees is hanging around (late March) just asking to help make fire. 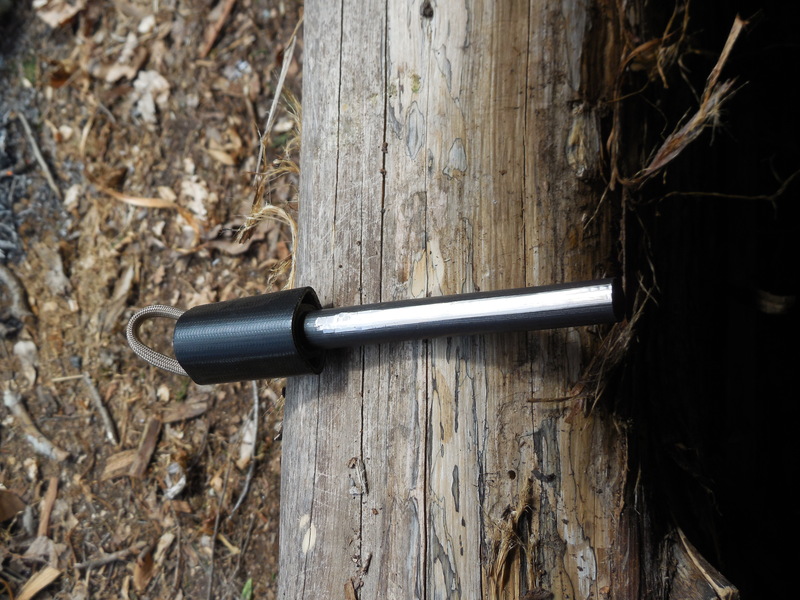 Get the angle right with your scraper on the ferro rod and pull the rod back across the spin. My closed Opinel #8 worked fine. You want a high carbon steel blade for this task. The high carbon part isn’t as important with ferro rods but comes into play when using flint and steel to make sparks. The increased surface area of my new pyro wand produced fire in my tinder bundle with only one strike. What if you only get one strike to make fire? Bring a big bat to the plate! In an emergency scenario where fire determines your survivability, rescue, life or death… SIZE MATTERS! Once you go big, you’ll never go back. 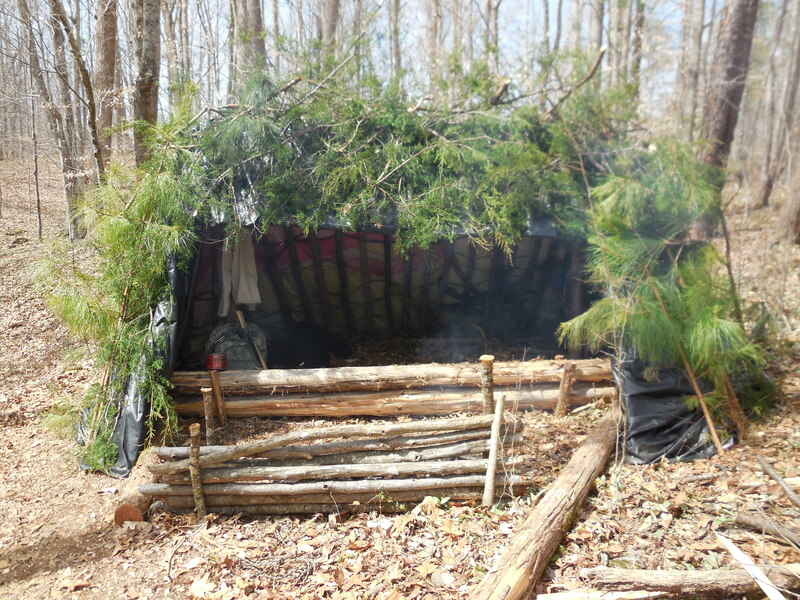 Update: For those interested, below is a progress photo of my semi-permanent bushcraft shelter. We all need a place to practice our Doing the Stuff skills… a place to trade theory for action! Thanks, brother. The Pathfinder Store accepts checks and money orders. 🙂 I’ve seen some at local gun shows but not lately. If I find one, I’ll send it to you. I’ve heard good things about them, Seth. I’ve got a local source that has good prices on rods. Thanks for the comment!